What Happens If iPhone Synced with Another iTunes Library? Most people have quite large iTunes libraries, and it might be a little bit difficult to import iTunes library from one computer to another. For me, however, the main drawback of a new computer is that you need to configure everything from scratch. This is the fun. Part of it is fun, but it can be stressful and long-lasting. For example, migrating your iTunes library to a new computer. There is nothing fun, and if you have a large library, it could take hours. There are some important techniques you can use for that. This article contains details of each option. The below article provides a step-by-step guide on how to import iTunes library. While the first two options may be time-consuming and not efficient to deal with and may result in some data loss or external drive crash, iMyFone TunesMate comes up with a perfect solution to get this done efficiently. If you want to import iTunes library to a new Mac or PC, you can use iMyFone TunesMate iPhone Transfer tool to transfer your entire iTunes library from one computer to another. TunesMate, by definition, is an easy iOS media transfer tool that can transfer iTunes library from your iTunes/computer to iPhone/iPad/iPod and vice versa.With iMyFone TunesMate, the entire iTunes library can be moved to a new computer without losing data or affecting the iTunes library on the previous computer. Free 2-way transfer from iOS device to iTunes/computer or from iTunes/computer to iOS device. Get rid of iTunes limitations and error. Both free and paid music/movies are supported to be transferred. 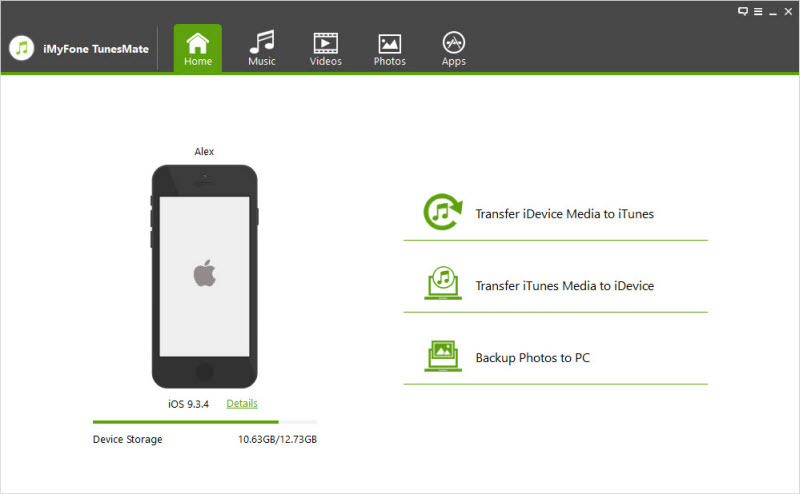 No data loss in your iPhone while transferring. 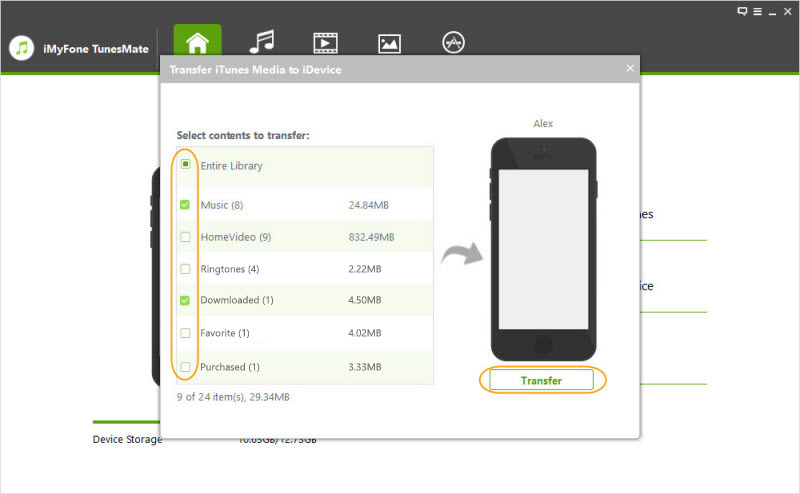 Transfer data from unlimited iDevices and unlimited iTunes libraries. Step 1.Install iMyFone TunesMate on your old computer. Connect your iPhone to your old computer and run TunesMate. Step 2.Click "Transfer iTunes Mdia to iDevice" from your home interface. 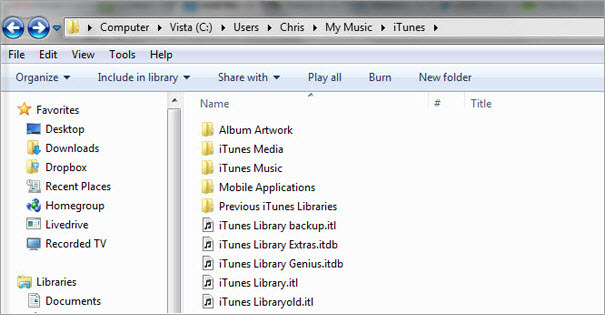 Step 3.After that, all of your iTunes libraries will be checked. Then click "Transfer" to continue. 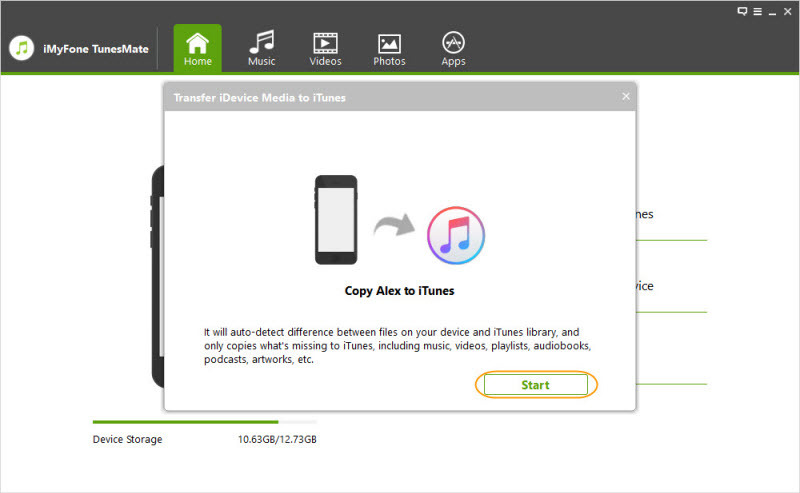 Step 4.After transferring the iTunes library to iPhone, iPod or iPad, you can now install TunesMate on a new computer, connect iPhone, and launch the software. Step 5.Click "Transfer iDevice Media to iTunes" to sync iTunes library transferred from iPhone to iTunes on your new computer. Step 6.Press "Start" to commence. Now you have successfully moved your iTunes library from one computer to another. Given the limitations the first two options may possess, to import iTunes library with iMyFone TunesMate is the best and most efficient. External hard drives offer more storage capacity at lower costs than ever before. In appreciation to this, you can get a very extensive external hard drive at an affordable price. This is another easy way to move your iTunes library to a new computer, especially if your library is larger than the storage capacity of your iPod. To transfer iTunes library to a new computer using this method, you need an external hard drive with enough storage space for your iTunes library. Step 1.Locate iTunes library on your computer. Step 2.Plug your external hard drive into your old computer, and copy and paste iTunes Library. Itl file into external hard disk drive. Step 3.Detach the external hard drive from the first computer. Then connect the external hard drive to the new computer where you want to transfer the iTunes library to. Step 4.Transfer iTunes Backup from the external drive to the new computer. Depending on the size of your iTunes library and the speed of the external hard drive, it may take some time to import iTunes library from your external hard drive to new computer. On Mac, the easiest way to transfer iTunes library to a new computer is to use the Migration Assistant Help Tool. This can be used when setting up a new computer or after it is already done. The migration wizard tries to create your older computer in a new one by moving data, settings, and other files. Not 100% perfect but most files are transferred very well and it will save you a lot of time. The Mac OS Setup Wizard offers you this option when setting up a new computer. If you do not select it, use it later by locating the Migration Wizard in the Applications folder inside the Utilities folder. Step 1.Connect both computers with a Firewire or Thunderbolt cable (depending on your Mac). Step 2.Restart your old computer and hold down the "T" key. You will see it restart and display the Firewire or Thunderbolt icon on the screen. Step 3.Start the migration wizard to the new computer and follow the instructions on the screen to import iTunes library (You already know the location of iTunes library in first method).